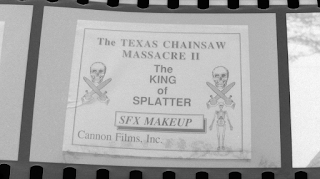 Yesterday I was checking out Freddy in Space's latest entry about props from Tobe Hooper's follow-up to The Texas Chainsaw Massacre showing up on eBay from a storage buyer who happened about a locker once owned by camera operator Eric Lasher. 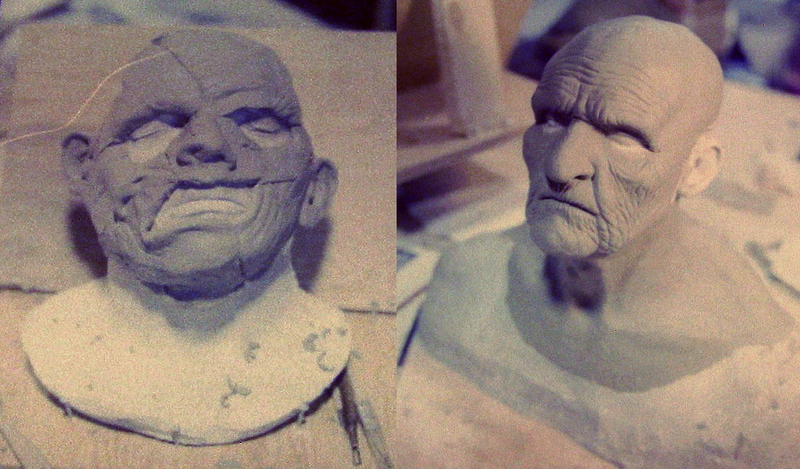 One of these items is a lot of three negative rolls detailing special effects work by Tom Savini and his team. I figured I'd attempt to color correct the pictures of the frames provided in the listing for the sake of prosperity. Who knows who'll win these and if we'll ever see this footage or these images again. 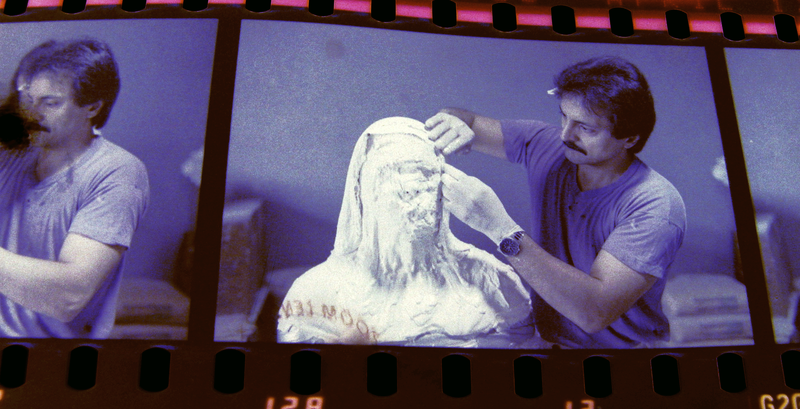 Conveniently the images show the process of Savini casting a bust (of the Mercedes driver?). 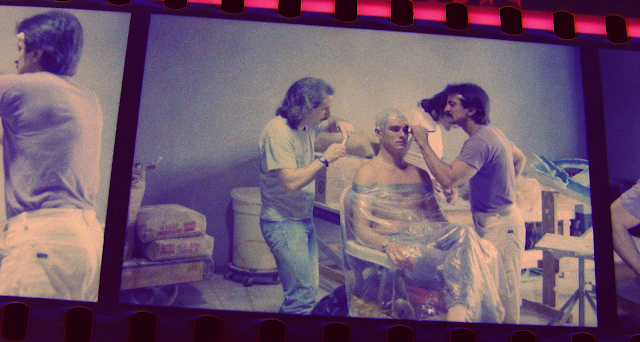 The sixth picture shows Hooper on set (with Richard Lynch?). These were processed on April 16th and 17th of 1986. Here's the auction's description: "Last week I purchased a room by the Eric H. Lasher Cinematographer of The Howling 5, Texas Chainsaw Massacre 2, Tales From The Crypt, Guyver and Nightmare on Elm Street Freddy's Nightmares to name a few. 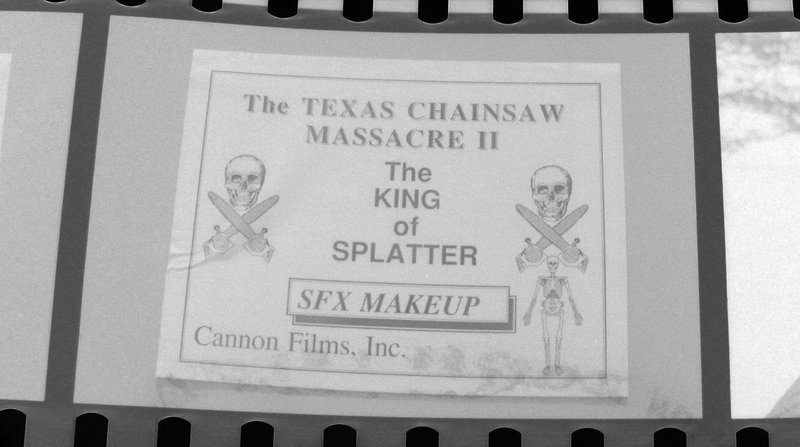 Highest Bid will get these Texas Chainsaw Massacre II Original Pre-Production Cinematographer Negatives. There is lots of rolls of film here."